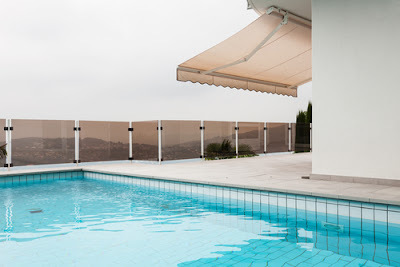 Retractable awnings can serve as excellent alternatives to a permanent patio or deck covers if you want to possess the same protection from the sun and occasional rain but would like to have an unobstructed view of your backyard at the same time. There are a lot of companies that offer these types of awnings, with some even offering installation services along with your purchase. Unlike permanent deck or patio covers, awnings that have a retractable mechanism installed are normally stored during harsh weather especially during the winter months and then put back up again for use during the rest of the year. Retractable awnings are usually made of fabric durable enough to withstand the heat of the sun and the occasional rain showers in Singapore. Although the designs and the pattern of the fabric used for the awning itself are usually limited to the manufacturer's tastes and choice, many excellent prints are available so that you will never have difficulty finding one to match your home's color scheme. 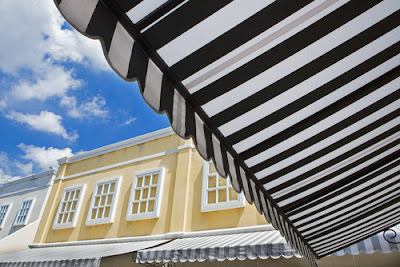 Awnings with retractable mechanisms are normally classified into two, the first one having a handle which can also be manually turned to retract the fabric and the second is a motorized one to retract the fabric with the push of a button or a switch. Although motorized awnings are handier and more convenient a lot of homeowners still prefer to use the manual ones simply because they don't have to worry about the motor getting damaged and the awning being stuck in place. Awnings seem to have been a basic commodity for people living in areas facing the sun at some point of the day. Because the sun in most regions of Singapore is so warm and beautiful, residents want to spend more time outside their homes on a deck or patio. Retractable awnings have become a growing commodity because more people love to enjoy the great outdoors without getting sunburned. What are the benefits of having retractable awnings at home? Getting an awning for your home would give several advantages to you and your children. In several different ways, you can easily learn the advantages, an awning system can do for your home or business. First of all, awnings can give your house a brand new look. The presence of awnings can accentuate the look of the home, and best of all add beauty and value to your house. Awnings can also protect your skin from the harmful sun's ultraviolet rays. We all know how the sun's heat can have damaging effects on our skin, and can even cause cancer. Being exposed to the sun for too long can cause terrible sunburn and can even cause skin cancer. You never want any family member to get sick, and it is always easier to protect them rather than to cure these skin conditions. On a brighter side, if you want to save money on energy cost, these awnings can give your air conditioning unit a break. You can simply enjoy the fresh air or the sea breeze right from your patio. These retractable awnings available on the market today are simply great products, which can be made of polyester cotton, a canvas woven or some vinyl fabric. Some awnings are even made with an acrylic canvass fabric. Actually, you can choose among the three fabrics, but the most durable will always be the acrylic canvas fabric. These types of fabrics used not only protects you from the harmful rays of the sun but is also a good water repellent. It can also keep the hot air away with its breathable features. When purchasing retractable awnings for your home, it is important that you consider a few things to ensure that you have the right size and design that you want. Your primary purpose in purchasing an awning is to have protection against the power of the sun, especially during the summer months in Singapore when the heat is almost unbearable. It is important that you choose fabric that is very durable. You can also have the size of the awning customized to fit the space where you plan to put it. Take note that you have to measure the length and the width of your patio or deck and allow for a few extra inches to make sure that water doesn't run off the deck when it is raining hard. You can also buy the pre-sized ones if you are confident that it will cover the spaces where you need to have protection. It is also important that you buy retractable awnings that can protect your patio or deck furniture from weakening due to the sun's UV rays. You can do this by choosing the ones that offer the most shade as compared to the ones that use a thinner fabric and are only good for occasional use. As for the housing mechanism that holds the awning when retracted, aluminum is by far the most popular and the most durable material being used by both homeowners and business owners alike. Since it is also light, installation is easier and less cumbersome. As with all items used in the home, however, it is also important that the proper care is given to your awning to extend its lifespan and be able to give you hours and hours of activities on your patio or deck. When planning to buy retractable awnings, go for the quality instead of the price. Finding the top manufacturer in Singapore of retractable awnings is just a few clicks away on the internet. You can easily find many places that offer these unique awnings, but be sure to search around for the best deals. Some places even offer free estimates if you are interested in an awning for your home. 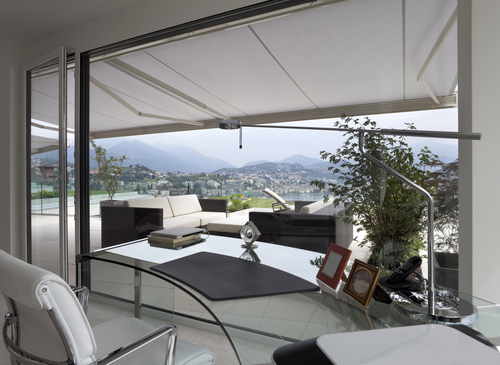 A great feature that spells luxury and comfort are remote controls for these awnings. You would only have to hit a button to eject you beautiful protective awning system. A retractable awning provides quality, durability, and affordability that complement your home. It has sufficient slope so that it can protect outdoor areas from rain. These awnings are made with water - resistant fabric. It also protects indoor spaces from fading, yet keeps the room bright. By using the retractable awning, it reduces heat and at the same time reduces the use of air conditioners, enabling to save energy. Altogether it brings beauty to the building. It would be advisable to go for quality consultancy for your outdoor fittings projects in Singapore.